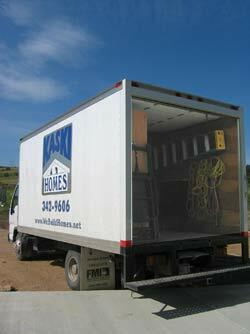 Kaski Homes Inc. Built our Home. . .
Before: All we knew about building a home then was, this was the lot for us. 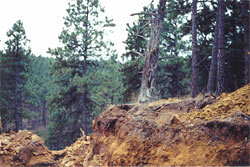 We wanted to save the old tree and bring the foundation right in on the rocky knoll. 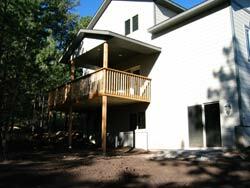 During: Upon purchasing the lot we were concerned if our plans would fit the lot. 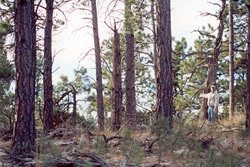 "Not a problem," were the words we heard from Ryan Kaski, the old tree remained and the whole process began. 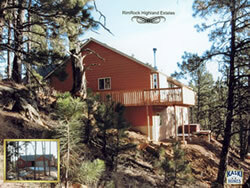 Rimrock Highland lots are fully tree covered and edged with a beautiful sandstone ledge. While waiting for approval on our lot purchase, we chose our building plan and site area. Our questions were answered with choices or suggestions gathered through many of Kaski's other building experiences. Once we decided to use Kaski Homes Inc., they contact us with the each new step, all the way through until our plans became our new home. Where did you go for ideas ? Kaski referred us to many Rapid City businesses to walk us through all the options and guide us towards the look that fit our tastes. Why Build, isn't it a hassle? When buying a home we wanted an exact fit to our needs and tastes. Kaski was always ready to make it happen the way we wanted it or would suggest a better way. Was Kaski there after closing? 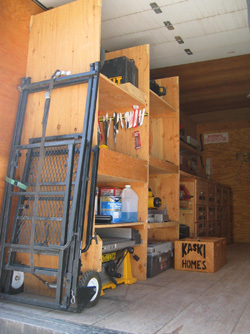 After moving in Kaski was there when we called to get everything just right. Their well-stocked warranty truck was ready to meet our minor fix-ups. Finished: Kaski told us about 4 months once digging began. They made it happen! We love our new home. 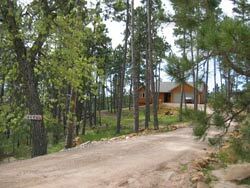 When we decided to move to the Rapid City area in 2003, my husband and I looked at many homes and properties in the area. One home really stood out in the quality of the workmanship, style and value. That home would become our first "Kaski" built home. After moving into the newly built home, we found out the true quality of Kaski construction. Every door opened and closed with ease, the beautiful wood trim and cabinets were installed to perfection and the amenities were many. We knew we had made a wise choice. Our lifestyle is unique - we spend 4 months of the year at a remote fly-in lodge in northern Manitoba. When we ARE home, we have a lot of company and entertain regularly. Even though we love our present home, we came to realize that a different floor plan would suit our family gatherings more ideally. 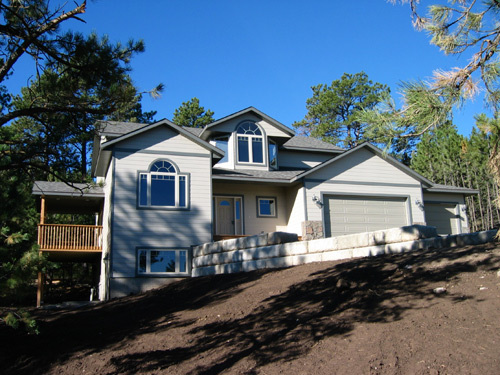 Looking for new ideas, this fall we visited all the homes and builders in the Fall "Parade of Homes". We came away from that experience knowing that our choice for the builder of our dream home would once again be Kaski Homes. I'm sure it's not often that someone chooses to build 2 homes in 3 years but the Kaski Team took it all in stride. They helped us choose a realtor to sell our existing home, personally came out to walk lots with us, and worked patiently with us to make sure our new home plan was just what we wanted. Even though we're deep in the bush of Canada as our new home is being built, we have trust and confidence in the Kaski Folks to once again, build us a home to be proud of.